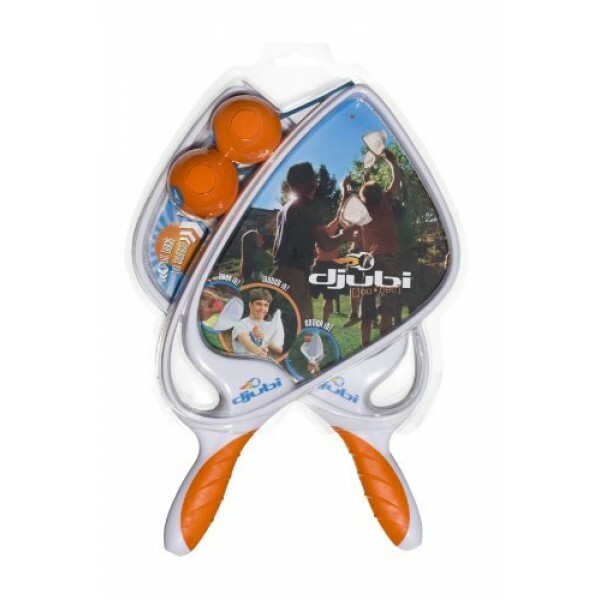 Djubi (pronounced joo-bee) is played with specially designed rackets and a unique ball called the Djubi. 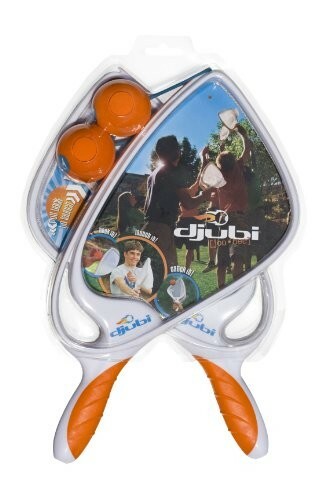 Aim your shot by pointing the racquet towards your target. When you pull back and release, the ball easily flies up to 100 feet! Catch the ball by positioning your net; the deep net easily traps the ball. The game of catch has been and forever will be a favorite sporting activity -- whether it's with baseball and gloves, a football, lacrosse sticks, or a flying disc; by fathers and daughters in the backyard, college students in the university quad, or families on vacation at the beach.